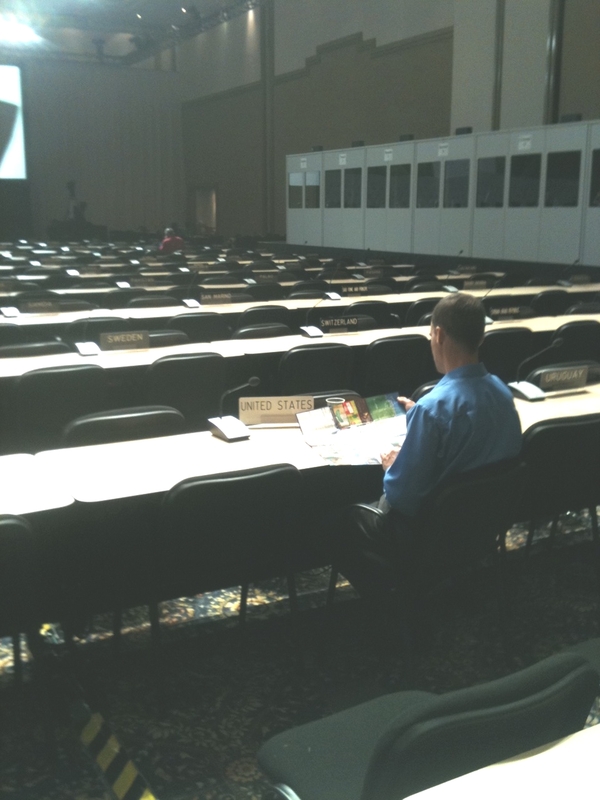 I just spoke with Edward Fendley, one of dozens of State Department representatives here at COP16. 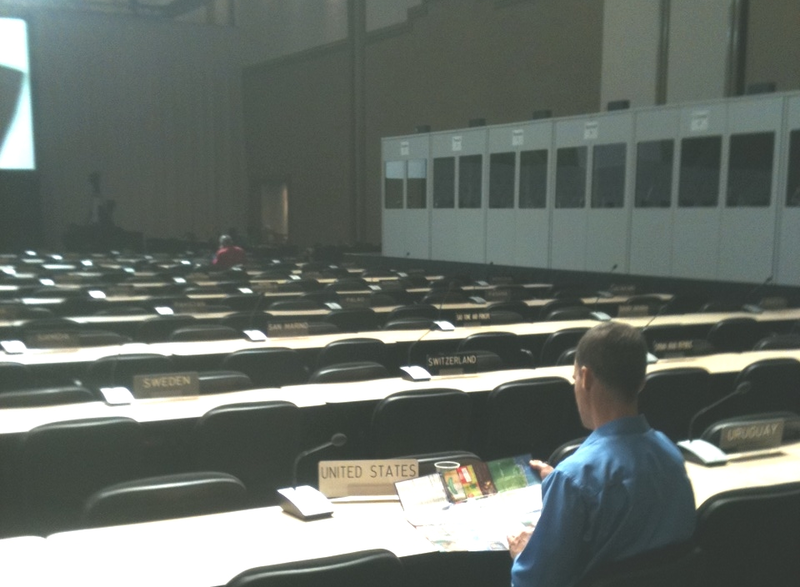 He was sitting alone at the US table in the UNFCCC plenary hall this morning (day 2) so I introduced myself. I described what I see as the potential for increased engagement between the UN process and the private sector. He said he thought the US’s position at COP16 was based soundly on the administration’s current positions, but asked what I thought the private sector priorities would be if shared in a “consultation” with the State Department. I shared our point of view that “countries don’t emit–companies and people do” and described the importance of a single, verifiable global price on carbon as the primary means by which to change companies’ behaviors. He asked if there was anything else, and I said I thought the price on carbon would be a good start. He seemed open to “consultation” with the private sector, but not immediately convinced that there is a missing gap. I asked what he thought the prospects were of a price on carbon in the US and he said he could offer no opinion on that, but that it didn’t seem as though US voters elected people who made that a priority. I am not one bit surprised. Are you? I sometimes think that we must inhabit a parallel universe from all the grand pooh-bahs of the climate world.